WASHINGTON (AP) — Cliff Sims, the author of a new tell-all book about the White House under President Donald Trump, says one of Trump’s top policy advisers spoke dismissively about refugees. Stephen Miller, who has pushed Trump to adopt stricter immigration policies, is quoted as saying, “I would be happy if not a single refugee foot ever again touched American soil,” according to Sims, a former White House communications aide and author of “Team of Vipers: My 500 Extraordinary Days in the Trump White House,” due in stores Tuesday. The Associated Press obtained a copy Monday. The White House has reviewed Sims’ book but has tried to avoid being drawn into public discussion to avoid bringing more attention to Sims’ accounts. 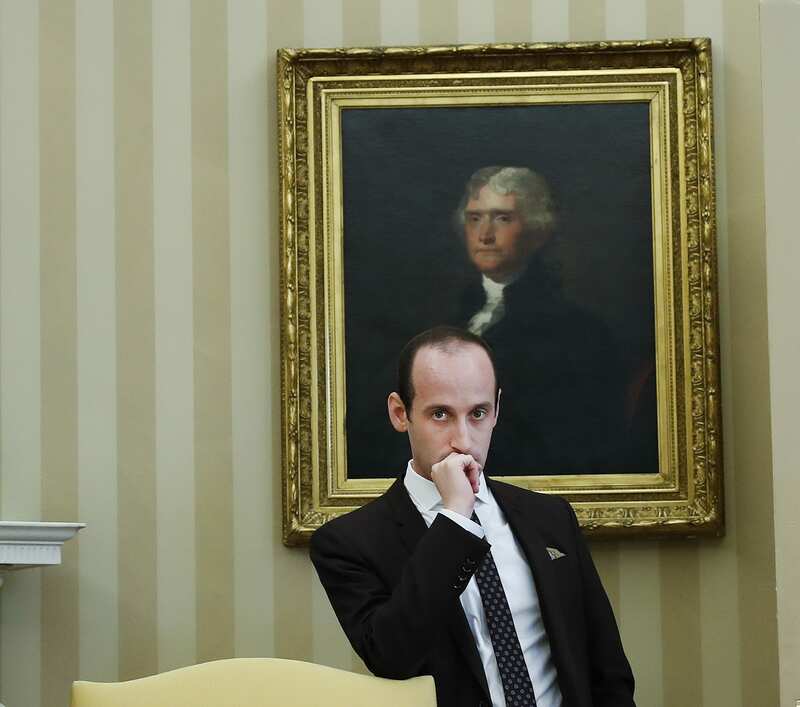 Sims writes that, any time a refugee or immigrant committed a “gruesome” crime, Miller would walk over to the White House press office to demand that press releases be issued about the cases. Sims says Miller made the comment about refugees during a conversation the two were having about immigration. Sims’ book is due on store shelves the same day as another behind-the-scenes account of Trump’s team, titled “Let Me Finish: Trump, the Kushners, Bannon, New Jersey, and the Power of In-Your-Face Politics,” by former New Jersey Gov. Chris Christie. Christie challenged Trump for the Republican presidential nomination in 2016 but endorsed Trump after dropping out. Christie then oversaw Trump’s transition until he was fired shortly after the November election, allegedly at the urging of Jared Kushner, Trump’s son-in-law and senior adviser. Christie, during his tenure as a federal prosecutor, sent Kushner’s father – businessman Charles Kushner — to prison after winning his conviction on tax evasion and other crimes. Sims began rolling out his book Monday with a media blitz that included an appearance on ABC’s “Good Morning America” and a sit-down with late-night TV host Stephen Colbert of CBS.